Whilst MetaTrader 4 continues to dominate among retail FX brokers and clients alike, with more and more companies continuing down what is now a very well established path, there is also a widening scope for new platforms for which some retail brokers are demonstrating support. To reinforce MetaTrader’s continued importance, IG Group succumbed to MetaTrader’s popularity and included the ubiquitous platform in its armory last month. Aside from this, brokers which already provide their traders with MetaTrader 4-based trading accounts have been incrementally refining their service without eschewing MetaQuotes as a platform provider. This year, in the run up to the iFXEXPO in Cyprus, MetaQuotes began to show its disdain for the third party ecosystem that had been built up around its platform which was originally designed for market makers, and as the STP non dealing desk model gained popularity among retail clients, a wide range of solutions made their way onto the market to adapt the platform for this purpose. Subsequently, MetaQuotes announced its own third party software marketplace at the iFXEXPO in order that developers can submit their solutions to MetaQuotes for vetting and provide them via MetaQuotes rather than seperately. Despite this dynamic, and the unrelenting demand from clients for MetaTrader in the retail FX market, there is an increasing support for new platforms emerging. Generally, the institutional space is a breeding ground for new and interesting innovations, with banks keen to support new projects such as ParFX earlier this year, and as a case in point, London’s FX markets, being more CFD and spread betting focused, are less geared toward MetaTrader 4 with many brokers such as ETX Capital and AFX Capital Markets expending resources on developing and supporting their own in-house platforms. One particular platform which has risen to prominence recently is Spotware Systems’ cTrader, which was described just as recently as May this year by many senior figures among the retail sector as a ‘work in progress’ among discussions at the iFXEXPO. 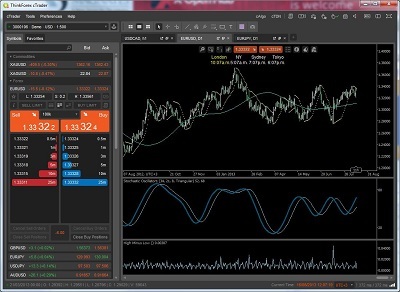 One of the most recent retail FX brokers to demonstrate its support and identify a need for a different platform offering is Australia’s ThinkForex, which recently began to offer cTrader alongside its existing MetaTrader 4 offering. Forex Magnates spoke in detail to ThinkForex, to gain an inside view on the reasons for such a move, beginning with ascertaining what the motive was for the recent adoption of cTrader by ThinkForex, and a bit of background as to this, including what kind of traders it is intended to attract, which regional markets it will be popular in, and why there is now a need for other platforms such as this aside from MetaTrader 4. “We’ve had a long history of success offering MetaTrader 4 to our clients and for many clients when it comes to trading Forex, especially when starting out, MetaTrader 4 is the way to go” explained Nauman Anees, ThinkForex’s Managing Director to Forex Magnates today. “Almost every major broker offers it, and there is a wealth of education material out there for it meaning our clients can learn quickly. However, just because a platform is used by the majority of retail FX traders, it doesn’t mean it is necessarily the best and it certainly isn’t the only option” he continued. According to Mr. Anees, one of the factors driving this demand is the requirement for futher features. “We feel that cTrader fits all the right requirements in the current marketplace for traders that are looking for a feature rich platform that will allow them to access ECNs” he said. At the iFXEXPO in Cyprus, industry executives discussed the virtues of customizable software solutions as opposed to off the shelf ones. Opting for off the shelf solutions provides brokers with a very straight forward means of taking their offering to market, with often a fixed cost involved, whereas customization provides a unique selling point, but can be time consuming and add to costs, which in a market with increasingly narrow spreads could prove to be a bugbear in itself. 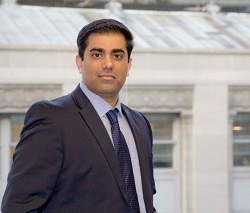 “cTrader is a purely non dealing desk platform, and all servers are hosted directly by Spotware in London at Equinix, on the same grid as the major banks, meaning the latency is at a minimum and trade execution is virtually instantaneous” explained Mr. Anees. As internet connections and connectivity becomes faster, the number of web-based platforms have increased. This could demonstrate a correlation between the retail FX sector’s predeliction for mobile platforms. Retail traders when away from their own computer can log on via a web based platform elsewhere, thus generating more volume for the broker. On this basis, cTrader also offers a fully functional web based platform, and unlike many web equivalents, it has the full range of features usually only offered by a downloadable solution. It is also possible to save your layouts and profiles, and save them in the cloud, and then download them in seconds to another location. In terms of potential client base, Forex Magnates asked ThinkForex whether a different type of client is expected to be attracted to the cTrader offering. ” We feel that cTrader will continue to gain market share in Europe but we plan to introduce cTrader to our strong client base in the Asia-Pacific region. “As MT4 user base matures in Asia Pacific and emerging markets we feel trader will eventually be looking for a multi-platform offering. Spotware have already integrated cTrader with leading third parties such as MyFXBook meaning that traders will still have the ability to upload reports and statements for sharing purposes. By doing this it means clients choosing to leave MT4 for cTrader are not losing out or missing anything and we believe that the added execution benefits of cTrader have the potential to make a big difference to a client’s overall experience.”. There is a concensus within ThinkForex that there are many brokers offering MetaTrader 4 who are finding it a challenge to go beyond just a low spread and that these brokers don’t usually last long. Bearing in mind that ThinkForex is based in Australia, a region whereby many clients in the Asia Pacific region are from the Far East and often drive a hard bargain when it comes to low spreads and IB commissions, leaving very small margins for the broker’s profit. Many brokers consider that this is still viable as long as alot of volume is conducted, but it could prove a white elephant once the cost of integration and endless negotiation over spreads and IB agreements has been conducted. “Having a diverse offering of brokerage products, multiple platforms, and good API offering is what we are going after. As we have seen tremendous growth in our user base and volume since we’ve established. The need is not only due to growth but also the limitations on MT4 to support it” stated Mr. Aneees. Forex Magnates asked Mr. Anees if the operation of cTrader platform will carry a different cost model to that which surrounds MetaTrader 4, including statistics relating to the cost-per-million and spread markup compared to that of MetaTrader 4. Mr. Anees confirmed that cTrader has execution methods which suit beginners as well as professional traders, and that it uses an institutional style method for calculating commissions. Unlike MetaTrader 4, which charges a commission rate at a simple dollar per lot rate, cTrader charges it on a cost per million basis. “Our standard MetaTrader 4 commission for a round turn lot on Pro accounts is $6, whereas cTrader charges is as 3 units per million. That equates to the same $6 per round turn lot when trading some pairs, but of course not every pair is in USD, and trading NZDUSD will effectively cost you less because it would work out to only NZ$6” confirmed Mr. Anees. Ultimately, the difference is not great, but ThinkForex offsets this by offering reduced commission rates to its larger volume clients meaning the cost per million can be significantly reduced. In addition, global scope is of importance, and with such a crowded retail space in the Asia Pacific region, despite its highly respected capital markets economy and large number of retail traders, Mr. Anees concedes that a global view must be taken to remain competitive these days. It is becoming to appear clear that whilst MetaTrader is here to stay, plurality and diversity plays an increasing part in today’s global retail industry. It will be interesting to see the next 2-3 major retail forex platforms emerge over the next 2 years. cTrader seems to be establishing itself as a serious competitor to MetaTrader with the cAlgo functionality being a big draw. I know of a few traders who have moved over to cTrader from MT4. I feel whether other platforms can gain significant market share will depend on how MetaQuotes handles the third party issues. It’s pretty remarkable that MetaTrader 4 has continued to have such dominance 8 years after the platforms initial release. nice article Andrew. I hope MG pays u well. I agree actually, MetaTrader is one of the best trading platforms there is. Very few brokers have a platform of their own that comes anywhere close to being able to compete with it. The reality here Is that good brokerage is not just about MT4. Usually MT4 traders come and hop brokers every month . MT4 has been shelled out to every broker and is very limited for growth . As a trader I outgrew it a year ago . Hats off to Think for taking the Leap and thinking ahead ! Since their aggressive expansion some platforms in social trading turn one’s back on Metaquotes. For Example ayondo stopped their metatrader program. Longterm Metaquotes could loose marketshare.